4,500 years ago in Babylon a diligent scribe was rather impressed with a practice he’d witnessed known as washing. He promptly took up is his marker tool and recorded the first known use of soap on a tablet of clay. References to soap have since been found in numerous Egyptian, Greek and Roman archaeological sites and some of them included both recipes and instructions for use. 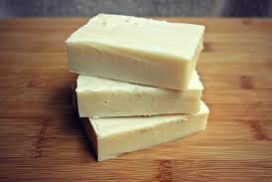 Early soaps were made from totally natural materials, including lard, tallow, blubber, ashes, vegetable oil and clay. One way of “washing” was to smear your whole body with a mixture of these components and then scrape it all off with a tool a little like a massive razor blade! In the UK washing wasn’t popular until the 17th century when people realised that although The Black Death was passed on by fleas from the black rat, better personal hygiene would help prevent a recurrence and boost your chances of survival. Chemically speaking, soaps and detergents are made from long molecules that contain a head and tail. These molecules are surface-active agents (now shortened to surfactants) which means a washing compound that mixes with grease and water. The head of the molecule is attracted to water (hydrophilic) and the tail is attracted to grease and dirt (hydrophobic). Although both are surfactants, soaps and detergents are not the same thing. Soaps are made of materials found in nature and detergents are man-made, or synthetic. In the early days, the major problem of trying to use naturally made soaps for more industrial jobs was that soap would combine with minerals in water to form an insoluble substance known as scum or soap curd. The more minerals in the water, the more scum would be produced and the worse a soap would perform. In the US the first multinational manufacturers found a way around the problem when they bought the rights to a German discovery of a synthetic fat developed during World War One when there was a shortage of natural fat. They began to mass produce these early detergents, mainly for laundering and brands such as Tide and Dreft quickly became household names. Another chemical breakthrough came with the introduction of “built” detergents. The “builders” were additional components such as phosphates that helped the surfactants work more efficiently resulting in a vast improvement to the performance of detergents. Driven by marketing, consumer demand, economy, product performance and health & safety, lots of innovations quickly followed. 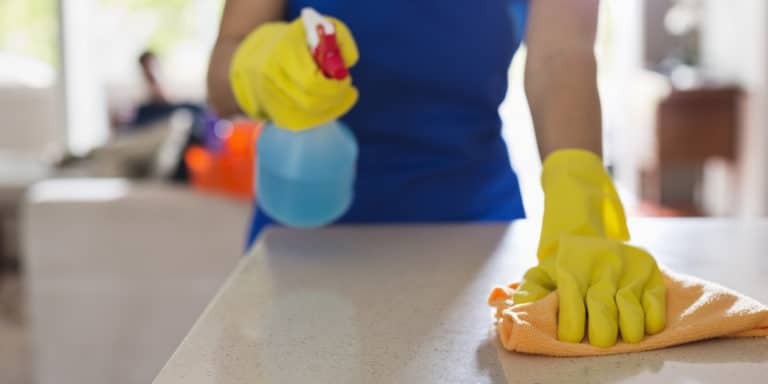 In our world of industrial cleaning some of the more recent additions have been powdered and solid dishwasher detergents, safer quaternary ammonium (quat) sanitisers, odour counteractants, super-concentrated products and multiple electronic and manual dosing systems to deliver them. But we shouldn’t forget that there still aren’t that many base raw materials needed to create a good detergent. The Cleanline brand offer quality products that are no nonsense and kept simple. Unlike most brands we are not tied to any one supplier and, to answer the cleaning demands of our customers, we have the luxury of being able to cherry pick our compact ranges from the best of the manufacturers. This is reflected in our products which are simply named by what they do, and where appropriate, colour-coded to aid fast basic training and diminish the chances of accidents in the workplace. Many of our products have more than one function, which means we keep the numbers in a range to a minimum. 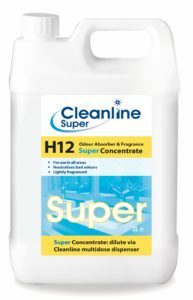 For example, an entire Housekeeping department uses just three Cleanline Super concentrated room cleaning products and an odour counteractant. 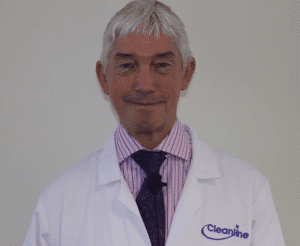 Cleanline products are phosphate free and, wherever we can, we advocate concentrated products systems employing continually re-usable trigger spray bottles to dramatically reduce both plastic landfill waste, transport and manufacturing emissions, over use and wastage. For more information about the Cleanline range – take a look at our Cleanline e-brochure.